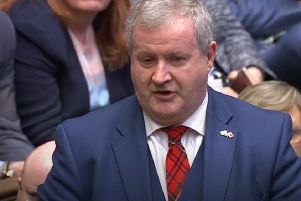 Scottish ministers say that the country’s heating systems should be fossil fuel-free by 2050 to battle climate change despite Scotland having only 0.15 per cent of global emissions (your report, 12 June). Electricity accounts for 21 per cent of energy requirements, transport 24 and heating 55. For the electricity part thousands of wind turbines have been built and still the Scottish emission reduction targets have not been met for four years. Here is a suggestion: switch off the wind turbines, allow temperatures to rise and there will be no need for heating. The saving on the 55 per cent means that CO2 reduction targets will be achieved. It is a daft idea, yes, but so is wasting taxpayers’ money on efforts to save a fraction of 0.15 when the majority of countries in the world ignore CO2 targets and instead burn coal to grow their economies.